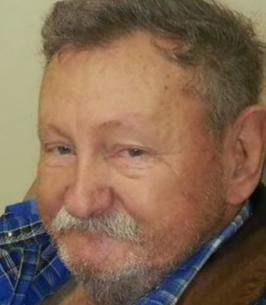 Joseph Louie Smith, 73, born in Canton, North Carolina to Ervin and Juanita Smith passed gently at home on Monday, November 26. Louie loved life and loved his family. He had retired from Putnam County Public Works Department. He enjoyed wildlife almost as much as good food. He is preceded in death by his father and mother, his sister, Phyllis Mitchell and grandson, Curtis Ammons. Louie is survived by his wife of 35 years, Robin Smith, sons, Tim Caudill (Dee Caudill) of Hastings, Jody Smith of Interlachen, Jason Smith (Tracy Smith) of Palatka, Shawn Smith (Kelly Smith) of Bostwick, Justin Smith (Nicole Jacobs) of Clearwater, Jesse Smith of Bostwick, daughters, Tina Tyler (Leaston Tyler) of Interlachen, Sophie Staples (Tony Staples) of Bostwick, and Destiny Smith (Sebastian) of Jacksonville, foster brother, Jesse Luke of Palatka, 27 grandchildren, 4 great-grandchildren and many nieces and nephews. Louie will be missed greatly by his family and many friends. Graveside services will be held 3:00P.M. on Saturday, December 1, 2018 at Bostwick Cemetery with Bro. Paul Ritchie officiating. The family will receive friends Saturday, from 1-2P.M. at Johnson-Overturf Funeral Home in Palatka who are handling the arrangements. Memories and Condolences may be expressed to the family at Joseph’s Book of Memories at www.johnsonoverturffunerals.com . To send flowers to the family of Joseph Louie Smith, please visit our Heartfelt Sympathies Store. We encourage you to share any memorable photos or stories about Joseph . All tributes placed on and purchased through this memorial website will remain on in perpetuity for future generations. Provide comfort for the family of Joseph Louie Smith by sending flowers. Death is the hardest thing we have to deal with in life. I know words can do little to take away the pain you are feeling, so may the God of comfort be with the Smith family, helping you to cope. Lean on Him in the days to follow, 2 Thessalonians 2:16, 17 and read of his marvelous hope for those who have fallen asleep in death, John 11:41-44. Jesus performed this miracle as a preview for the future, John 5:21. My deepest sympathy.